I have recently talked about how I clean my laminate wood floors here (and how we installed our own laminate wood flooring here) but we also recently installed herringbone tile in our downstairs bathroom, travertine tile in our kids bathroom, hexagon tile in our laundry room and completely re-did our master bathroom! We have a lot of tile in our house and we love it! But since we have brand new tile in a lot of our home, I decided to start looking for the best way to clean all of my new tile floors. 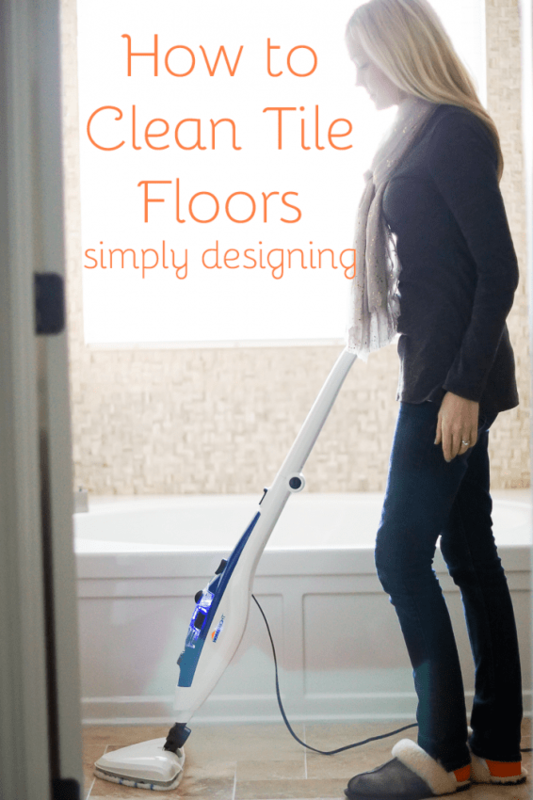 So today I am going to show you How to Clean Tile Floors, the easy, fast and eco-friendly way! 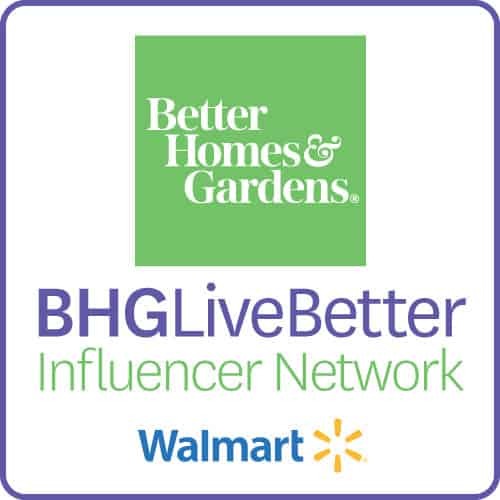 As a HomeRight Brand Ambassador, I have the privilege of working with them monthly and I am so grateful that they made this post possible today! I have shown you before how awesome HomeRight’s SteamMachine is here and I love it! I use it often! But for floors I really love the convenience of their upright SteamMachine Plus! I love a clean house, but I don’t love using harsh chemicals for many reasons, one of which is that when I clean with harsh chemicals they nearly always give me a migraine. Which sounds weird, but it is true. So I always look for eco-friendly, non-toxic, fragrance free and less harsh alternatives. Because it is important to me to have a clean floor I have found the best solution to keep my floors clean and sterilized without harsh chemicals! And this is an eco-friendly option too! Wahoo! 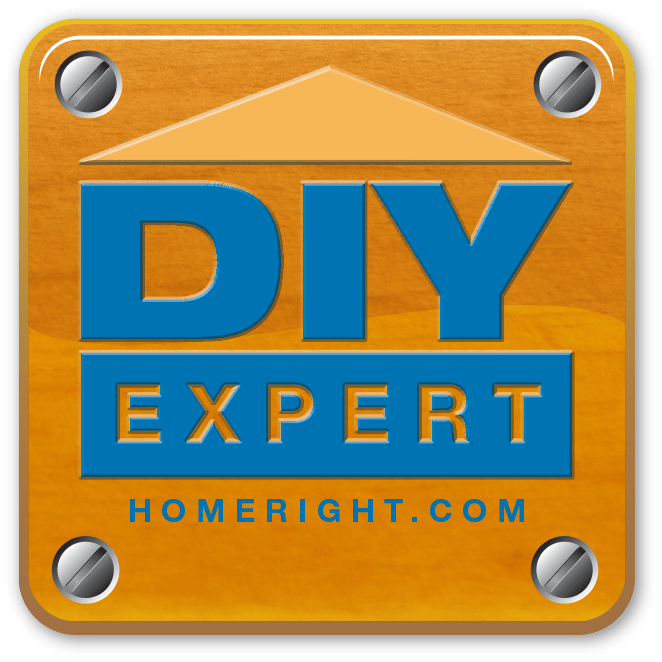 The SteamMachine Plus from HomeRight is so awesome! 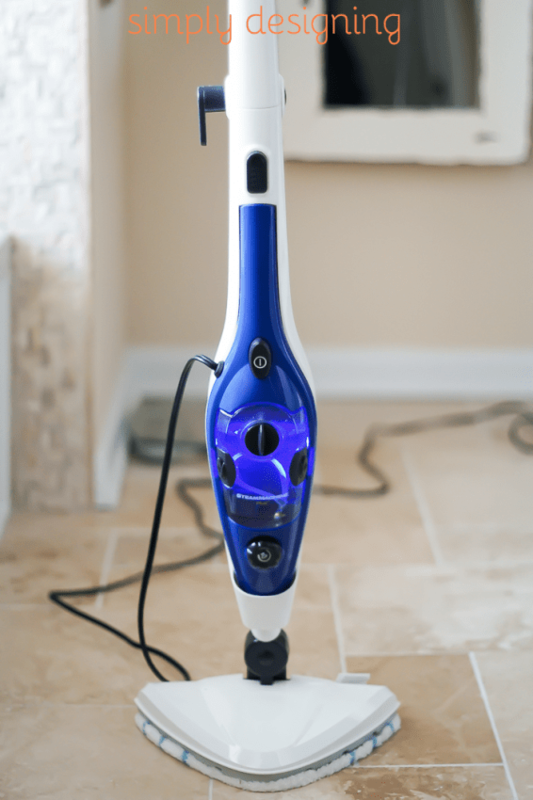 You can use it on your floors like I did, but the steam unit also detaches and it can be used as a hand held unit around your home on so many surfaces as well! I really truly love this! 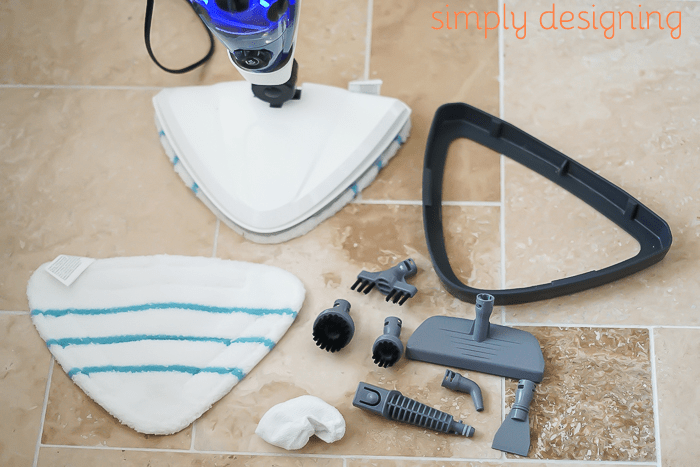 And the SteamMachine Plus comes with so many attachments to help you clean tile floors, carpet, glass, grout, counters, ovens, grill and many other surfaces! And it is so simple to use! You simply fill the reservoir up with water, plug it in, turn it on, and wait for the light to turn blue! Then you press the trigger to release the steam and mop away! You can also detach the hand held unit to steam clean other areas as well! I love using it to clean all the nooks and crannies of my bathroom! 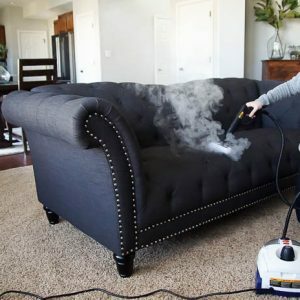 And the best part is that it uses the power of steam (205 degrees) to clean, sanitize and disinfect your home! It cleans 99.9% of germs and bacteria with only water! 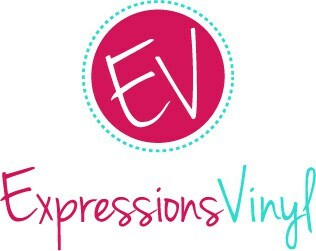 No harsh chemicals or toxic fumes. Which means I can have a clean, disinfected home, quickly and without subjecting my family to harsh chemicals or smells! 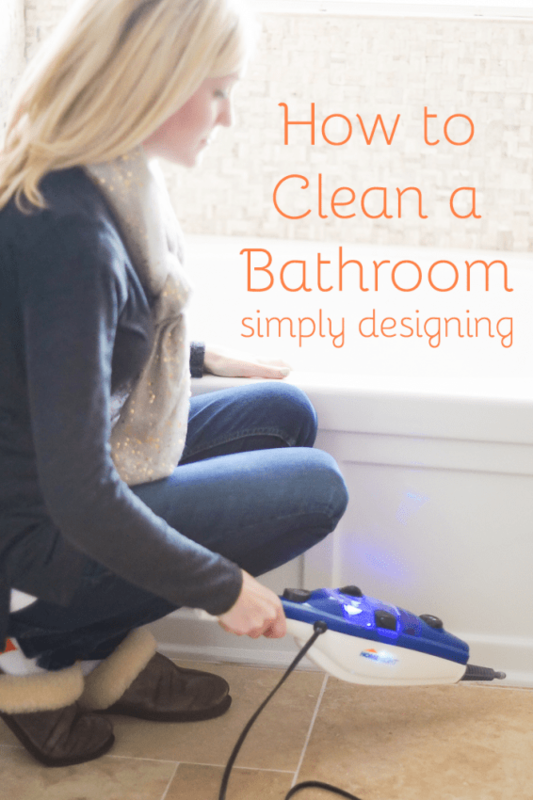 The HomeRight SteamMachine Plus is my go-to way to clean my bathrooms and tile floors! It is amazing! Please wait until the Rafflecopter fully loads and then enter to win below! I would clean my dirty tile grout. I’d clean my bathroom floors first. Definately the bathrooms two teen boys in one. Ours could use a good cleaning too. I would clean my kitchen, utility room and my bathroom…all the tiled areas in our house that desperately need this! Thanks for the giveaway! and it seems to be always cleaning before leaving for the season and cleaning again when I return just to freshen up from sitting closed up for 6 months. What a simple solution. Oh we have these really white, white floors that would love a good cleaning. My kitchen would be first! Definitely clean the bathroom first! Have wanted one of these for a while now but didn’t know how well one worked. Thanks for the review!! My master bathroom tile floors for sure! I would clean my bathrooms’ floors! I would clean my shower. Thanks for the chance to win! My kitchen floor would be the first thing I would tackle. My tile in our entryway. It’s so hard to clean. This would be awesome. I have never used one of these. I didn’t know they could be so useful! I would love to win to use this in my house. I’d clean the shower first! 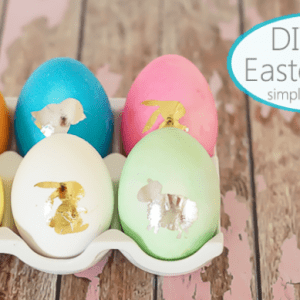 my entire downstairs – this would help SO much with my little mudtrackers! 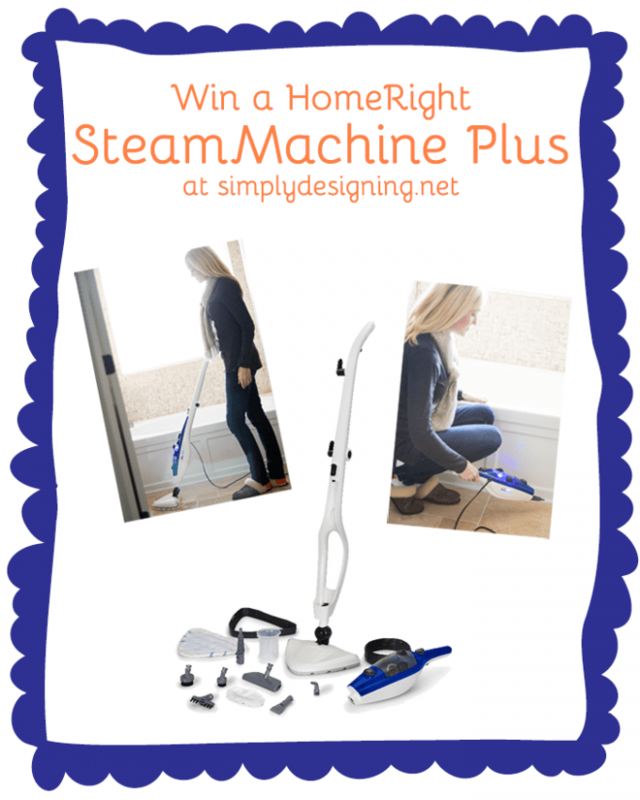 My kitchen and living room floors would be the first that I cleaned with this amazing steamer if I won! Then I would move on to the hallway and bedrooms and last but not least the bathrooms and my craft room! Thanks for the chance to make life easier!! I would definitely clean my kids’ bathrooms first! I would definitely go to town on my bathroom! We recently remodeled and added a TON of tile and omg, it is so hard to keep clean! Especially the grout! This machine would make me really happy! My oven is first on the cleaning list. Thanks. I would clean my husband’s shower. I would first clean my ceramic tile kitchen floor, it needs it! Then the bathroom tile floors and the hardwood floors. If I should win I would clean the bathroom floors first. I would clean my bathroom floors first. I would clean the Master Bathroom floor first. I would clean the main bathroom upstairs first thing. I would clean my bathroom floor first. Gotta love a clean house without the use of chemicals. I would clean my kitchen floors first if I won. I’d love to try it on my tile floors. I would clean the kitchen floor first! I would clean the kitchen/dining area first. I would definintely clean the tile floor in the upstairs bathroom. My kitchen first because it’s the most high traffic room besides the living room. My bathroom is the first thing I would clean. I would clean my kitchen. I would clean my kitchen floor first. Thanks for having this contest! I got all hardwood floor and have 4 cats. Having this device would be quite helpful. It is amazing how effective steam can be for cleaning tile floors as well as other surfaces.